Texto por redacción | 1/20/2018. premieres, documentary premieres & next. En nuestros anteriores artículos dedicados a la programación del 35º Festival de Sundance, hablábamos de la importancia de encontrar el primer sendero de lo que será la próxima temporada de premios. El año pasado, la sensacional Call me by your name inició su trayectoria en el apartado de premieres del certamen de Park City, y, justo doce meses después, es una de las aspirantes con más posibilidades de ser nominada al Óscar a mejor película. Como si de una constante se tratara, industria y prensa buscan esa posible gallina de los huevos de oro en Utah. Y de existir esta, seguramente transite en la mencionada sección Premieres, repleta de grandes nombres y, por qué no decirlo, representantes en su amplia mayoría de un cine independiente de laboratorio; los tiempos han cambiado demasiado, incluso para el cine de aparente bajo presupuesto. Pese a esto, ¿qué películas debemos apuntar? ¿Qué filmes tienen fijada la etiqueta de must-see? Nombres ilustres mediante, hay que contar con los últimos trabajos de Gus Van Sant –Don't Worry, He Won't Get Far On Foot, protagonizada por Joaquin Phoenix y Jonah Hill, que competirá también por el Oso de Oro de la Berlinale y cuyos primeros pases no han dejado opiniones demasiado entusiastas—; Debra Granik –directora de la inolvidable Winter’s Bone, que vuelve con Leave no trace—; Marc Turtletaub –Puzzle, con guion de Oren Moverman—; Tamara Jenkins y Judd Apatow –guionista y productor, respectivamente, de Juliet, Naked—; los hermanos Zellner –directores de Kumiko, the treasure hunter que presentarán Damsel, liderada por Robert Pattinson y Mia Wasikowska—; Joshua Marston –que busca reconducir su filmografía con Come Sunday, interpretada por Chiwetel Ejiofor—; Wash Westmoreland –un hijo de Sundance que estrenará el drama de época Colette, protagonizado por Keira Knightley—; Brad Anderson –con la cinta de acción Beirut, con libreto de Tony Gilroy—; o Ben Lewin –The catcher was a spy, con Paul Rudd, Mark Strong y Guy Pearce—. Premieres, por tanto, es un apartado lleno de atractivos por los que pelearán las principales distribuidoras estadounidenses chequera en mano. Mucho menos llamativa, pero igual de interesante se presenta la competición en NEXT, baluarte de las propuestas que se aproximan a la idiosincrasia de antaño de Sundance. De aquí, por ejemplo, han surgido títulos en los últimos años como The eyes of my mother, James White o la recientemente estrenada en España Columbus. Lo nuevo de Crystal Moselle, Aneesh Chaganty –Premio P. Sloan de esta edición—;, Bridey Elliot y Jim Hosking son los títulos que más llaman la atención de una selección que probablemente dejará alguna sorpresa. Se lo contaremos en EAM. ■ A Futile and Stupid Gesture / U.S.A. (Director: David Wain, Guionistas: John Aboud, Michael Colton, Productores: Peter Principato, Jonathan Stern) — Reparto: Will Forte, Martin Mull, Domhnall Gleeson, Matt Walsh, Joel McHale, Emmy Rossum. ■ A Kid Like Jake / U.S.A. (Director: Silas Howard, Guionista: Daniel Pearle, Productores: Jim Parsons, Todd Spiewak, Eric Norsoph, Paul Bernon, Rachel Song) — Reparto: Claire Danes, Jim Parsons, Octavia Spencer, Priyanka Chopra, Ann Dowd, Amy Landecker. ■ Beirut / U.S.A. (Director: Brad Anderson, Guionista: Tony Gilroy, Productores: Mike Weber, Tony Gilroy, Shivani Rawat, Monica Levinson) — Reparto: Jon Hamm, Rosamund Pike, Shea Whigham, Dean Norris. ■ The Catcher Was a Spy / U.S.A. (Director: Ben Lewin, Guionista: Robert Rodat, Productores: Kevin Frakes, Tatiana Kelly, Buddy Patrick, Jim Young) — Reparto: Paul Rudd, Mark Strong, Sienna Miller, Jeff Daniels, Guy Pearce, Paul Giamatti, Connie Nielsen. ■ Colette / Reino Unido (Director: Wash Westmoreland, Guionistas: Wash Westmoreland, Richard Glatzer, Rebecca Lenkiewicz, Productores: Pamela Koffler, Christine Vachon, Elizabeth Karlsen, Stephen Woolley) — Reparto: Keira Knightley, Dominic West, Fiona Shaw, Denise Gough, Elinor Tomlinson, Aiysha Hart. ■ Come Sunday / U.S.A. (Director: Joshua Marston, Guionista: Marcus Hinchey, Productores: Ira Glass, Alissa Shipp, Julie Goldstein, James Stern) — Reparto: Chiwetel Ejiofor, Danny Glover, Condola Rashad, Jason Segel, Lakeith Stanfield, Martin Sheen. ■ Damsel / U.S.A. (Directors y guionistas: David Zellner, Nathan Zellner, Productores: Nathan Zellner, Chris Ohlson, David Zellner) — Reparto: Robert Pattinson, Mia Wasikowska, David Zellner, Robert Forster, Nathan Zellner, Joe Billingiere. ■ Don't Worry, He Won't Get Far On Foot / U.S.A. (Director: Gus Van Sant, Guionistas: Gus Van Sant (screenplay), John Callahan (biography), Productores: Charles-Marie Anthonioz, Mourad Belkeddar, Steve Golin, Nicolas Lhermitte) — Reparto: Joaquin Phoenix, Jonah Hill, Rooney Mara, Jack Black. ■ The Happy Prince / Alemania (Director y guionista: Rupert Everett, Productores: Sébastien Delloye, Philipp Kreuzer, Jörg Schulze) — Reparto: Colin Firth, Emily Watson, Colin Morgan, Edwin Thomas, Rupert Everett. ■ Hearts Beat Loud / U.S.A. (Director: Brett Haley, Guionistas: Brett Haley, Marc Basch, Productores: Houston King, Sam Bisbee, Sam Slater) — Reparto: Nick Offerman, Kiersey Clemons, Ted Danson, Sasha Lane, Blythe Danner, Toni Collette. Clausura. ■ Juliet, Naked / United Kingdom (Director: Jesse Peretz, Guionistas: Tamara Jenkins, Jim Taylor, Phil Alden Robinson, Evgenia Peretz, Productores: Judd Apatow, Barry Mendel, Albert Berger, Ron Yerxa, Jeffrey Soros) — Reparto: Rose Byrne, Ethan Hawke, Chris O'Dowd. ■ Leave No Trace / U.S.A. (Director: Debra Granik, Guionistas: Debra Granik, Anne Rosellini, Productores: Anne Harrison, Linda Reisman, Anne Rosellini) — Reparto: Ben Foster, Thomasin Harcourt McKenzie, Jeff Kober, Dale Dickey. 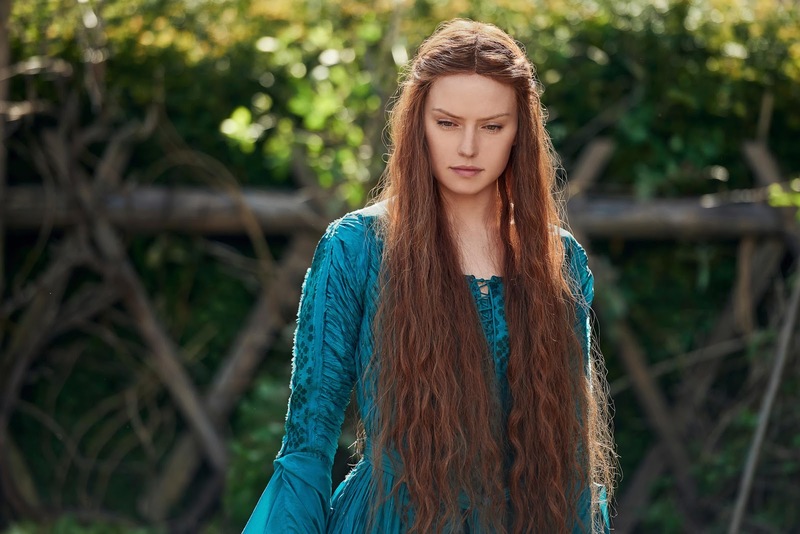 ■ Ophelia / Reino Unido (Director: Claire McCarthy, Guionista: Semi Chellas, Productores: Daniel Bobker, Sarah Curtis, Ehren Kruger, Paul Hanson) — Reparto: Daisy Ridley, Naomi Watts, Clive Owen, George MacKay, Tom Felton, Devon Terrell. ■ Puzzle / U.S.A. (Director: Marc Turtletaub, Guionista: Oren Moverman, Productores: Peter Saraf, Wren Arthur, Guy Stodel, Marc Turtletaub) — Reparto: Kelly Macdonald, Irrfan Khan, David Denman, Bubba Weiler, Austin Abrams, Liv Hewson. ■ What They Had / U.S.A. (Director y guionista: Elizabeth Chomko, Productores: Keith Kjarval, Bill Holderman, Albert Berger, Ron Yerxa, Alex Saks, Andrew Duncan) — Reparto: Hilary Swank, Michael Shannon, Blythe Danner, Robert Forster. ■ The long dumb road / U.S.A. (Directora: Hannah Fidell, Guionista: Hannah Fidell, Carson Mell, Productores: Jacqueline "JJ" Ingram, Jonathan Duffy, Kelly Williams, Hannah Fidell) — Reparto: Tony Revolori, Jason Mantzoukas, Taissa Farmiga, Grace Gummer, Ron Livingston, Casey Wilson. ■ Private Life / U.S.A. (Directora y guionista Tamara Jenkins, Productores: Anthony Bregman, Stefanie Azpiazu). Reparto: Kathryn Hahn, Paul Giamatti, Molly Shannon, John Carroll Lynch, Kayli Carter. Inauguración. ■ Bad Reputation / U.S.A. (Director: Kevin Kerslake, Guionista: Joel Marcus, Productores: Peter Afterman, Carianne Brinkman). ■ Believer / U.S.A. (Director: Don Argott, Productores: Heather Parry, Sheena M. Joyce, Robert Reynolds). ■ Chef Flynn / U.S.A. (Director: Cameron Yates, Producer: Laura Coxson). ■ The Game Changers / U.S.A. (Director: Louie Psihoyos, Guionistas: Mark Monroe, Joseph Pace, Productores: Joseph Pace, James Wilks). ■ Generation Wealth / U.S.A. (Director: Lauren Greenfield, Productores: Lauren Greenfield, Frank Evers). Inauguración. ■ Half The Picture / U.S.A. (Director: Amy Adrion, Productores: Amy Adrion, David Harris). ■ Jane Fonda in Five Acts / U.S.A. (Director: Susan Lacy, Productores: Susan Lacy, Jessica Levin, Emma Pildes). ■ King In The Wilderness / U.S.A. (Director: Peter Kunhardt, Productores: George Kunhardt, Teddy Kunhardt). ■ Quiet Heroes / U.S.A. (Director: Jenny Mackenzie, Co-Directors: Jared Ruga, Amanda Stoddard, Productores: Jenny Mackenzie, Jared Ruga, Amanda Stoddard). ■ RBG / U.S.A. (Directores y Productores: Betsy West, Julie Cohen). 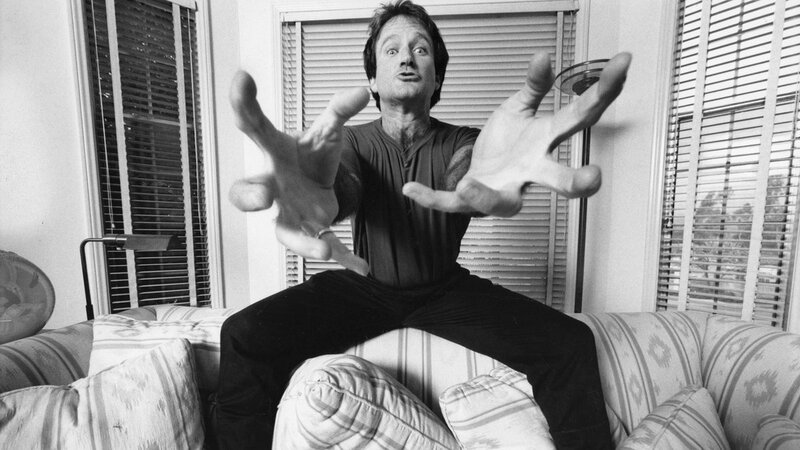 ■ Robin Williams: Come Inside My Mind / U.S.A. (Director: Marina Zenovich, Productores: Alex Gibney, Shirel Kozak). ■ STUDIO 54 / U.S.A. (Director: Matt Tyrnauer, Productores: Matt Tyrnauer, John Battsek, Corey Reeser). ■ Won't You Be My Neighbor? / U.S.A. (Director: Morgan Neville, Productores: Caryn Capotosto, Nicholas Ma). ■ Akicita. : The Battle of Standing Rock / U.S.A. (Director: Cody Lucich, Producetores: Heather Rae, Gingger Shankar, Ben-Alex Dupris). ■ 306 Hollywood / U.S.A., Hungría (Directores: Elan Bogarín, Jonathan Bogarín, Guionistas: Jonathan Bogarín, Elan Bogarín, Nyneve Laura Minnear, Productores: Elan Bogarín, Jonathan Bogarín, Judit Stalter). Inauguración. ■ A Boy, A Girl, A Dream. / U.S.A. (Director: Qasim Basir, Guionistas: Qasim Basir, Samantha Tanner, Producer: Datari Turner) — Reparto: Omari Hardwick, Meagan Good, Jay Ellis, Kenya Barris, Dijon Talton, Wesley Jonathan. ■ An Evening With Beverly Luff Linn / Reino Unido, U.S.A. (Director: Jim Hosking, Guionistas: Jim Hosking, David Wike, Productores: Sam Bisbee, Theodora Dunlap, Oliver Roskill, Emily Leo, Lucan Toh, Andy Starke) — Reparto: Aubrey Plaza, Emile Hirsch, Jemaine Clement, Matt Berry, Craig Robinson. ■ Clara's Ghost / U.S.A. (Director y guionista: Bridey Elliott, Productores: Sarah Winshall, Rachel Nederveld) — Reparto: Paula Niedert Elliott, Chris Elliott, Abby Elliott, Bridey Elliott, Haley Joel Osment, Isidora Goreshter. ■ Madeline's Madeline / U.S.A. (Directory guionista: Josephine Decker, Productores: Krista Parris, Elizabeth Rao) — Reparto: Helena Howard, Molly Parker, Miranda July, Okwui Okpokwasili, Felipe Bonilla, Lisa Tharps. ■ Night Comes On / U.S.A. (Director: Jordana Spiro, Guionistas: Jordana Spiro, Angelica Nwandu, Productores: Jonathan Montepare, Alvaro R. Valente, Danielle Renfrew Behrens) — Reparto: Dominique Fishback, Tatum Hall, John Earl Jelks, Max Casella, James McDaniel. ■ Search / U.S.A. (Director: Aneesh Chaganty, Guionistas: Aneesh Chaganty, Sev Ohanian, Productores: Timur Bekmambetov, Sev Ohanian, Adam Sidman, Natalie Qasabian) — Reparto: John Cho, Debra Messing. Ganador del 2018 Alfred P. Sloan Feature Film Prize. ■ Skate Kitchen / U.S.A. (Director: Crystal Moselle, Guionistas: Crystal Moselle, Ashlihan Unaldi, Productores: Lizzie Nastro, Izabella Tzenkova, Julia Nottingham, Matthew Perniciaro, Michael Sherman, Rodrigo Teixeira) — Reparto: Rachelle Vinberg, Dede Lovelace, Jaden Smith, Nina Moran, Ajani Russell, Kabrina Adams. ■ We the Animals / U.S.A. (Director: Jeremiah Zagar, Guionistas: Daniel Kitrosser, Jeremiah Zagar, Productores: Jeremy Yaches, Christina D. King, Andrew Goldman, Paul Mezey) — Reparto: Raul Repartoillo, Sheila Vand, Evan Rosado, Isaiah Kristian, Josiah Gabriel. ■ White Rabbit / U.S.A. (Director: Daryl Wein, Guionistas: Daryl Wein, Vivian Bang, Productores: Daryl Wein, Vivian Bang) — Reparto: Vivian Bang, Nana Ghana, Nico Evers-Swindel, Tracy Hazas, Elizabeth Sung, Michelle Sui.